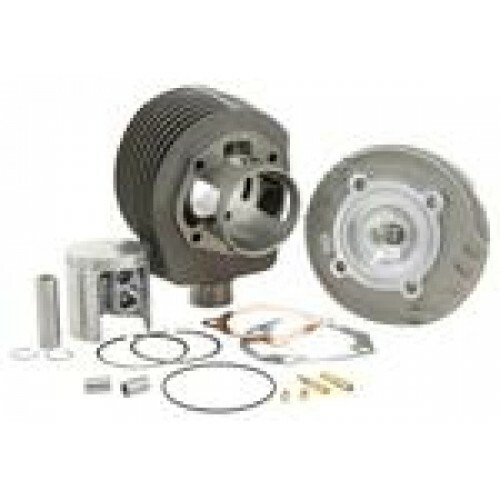 Malossi 166cc kit to fit PX /LML 125/150 engines, new MK3 more powerfull version. Quality Italian made performance kit the best available Includes; barrel, piston/rings assembly, cylinder head, gaskets + carb jets. High revs and pure adrenaline! Both are guaranteed side effects of the famousMALOSSI 166cc tuning cylinder! The power-band kicks in around half way through the extended rev-range of the MALOSSI 139cc cylinders big brother. The sudden surge can challenge the unwitting for control of their scooter, especially the height at which the front wheel stops reaching for the sky! Combined with a suitable primary-drive repair kit for taller gearing, this fine cylinder enables the use of the overtaking lane of any motorway. Maximum speeds of up to 130 kph are easily attained providing the suitable complementary components are also included in your scooter engines set-up. This high-end cast-iron performance cylinder possesses a total of seven transfer ports, a three channel boost port and a high quality Italian ASSO piston with two low-friction 1.2mm thick piston rings - music to the ears of all serious motor tuners! Another highlight of the MKIII Version is provided in the form of the, optionally available, all-new cylinder head produced by MALOSSI. 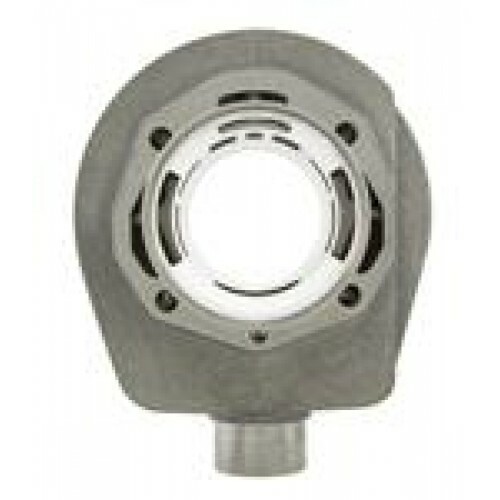 Its features include a completely redesigned profile, a real-world squish-band clearance measurement and its special heat-proof 'O'-ring gasket. This cylinder head, that can be combined with this MKk III version of the MALOSSI 166cc cylinder kit, has been totally re-conceived from scratch. A freshly developed combustion chamber architecture and an increased cooling-fin area ensure an increase in both performance and transfer of heat from the cylinders interior. The layout of the cylinder is identical to that found on its predecessor the MK II, providing port windows of the transfers and the boost ports opened to the maximum. The original 20mm SI carburettor should be replaced by the largest standard SI 24mm and the inlet port enlarged to match. Alternatively a complete upgrade to a 28-30mm carburettor kit is also possible, depending on the motors desired state of tune. The inclusion of a performance orientated exhaust system such as the SIP Road, a MALOSSI or a SITO Plus is also recommendable. To keep it all together a race or long-stroke crankshaft type is also a good idea, combined with a stronger clutch. If a higher maximum speed is more important to the motor project than lightning acceleration a DRT gear-kit, POLINI or MALOSSI primary-drive repair kits and/or a larger circumference rear tyre should also be included. A fully ported cylinder combined with an expansion chamber exhaust system can provide enough power to easily rival and conquer equivalent 200cc motors equipped with lesser-tuned MALOSSI 210cc cylinders! Conclusion : Even though this cylinder provides slightly less cubic capacity than its direct competitors, it always manages to trump them for unbeatable riding fun, unrivalled reliability and real world performance! These high-end tuning cylinders are designed to operate at high revs and the remaining components (carburettor, crankshaft, gearbox, clutch and exhaust) included in your engines set up should be carefully selected to facilitate this higher performance. 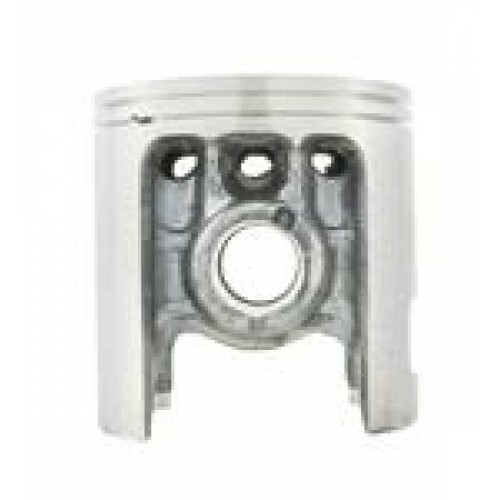 Cast iron cylinder, 57mm stroke, 7 transfer ports, ASSO piston including two wedge-shaped 1.2mm piston rings, a Mk III MALOSSI cylinder head is included in the delivery along with all necessary gaskets. The port openings on the motor casings will require enlargement and matching to those found on the cylinder. Check and adjust both the ignition timing and the carburettor jetting.